Lightweight construction gives this shock tower incredible stiffness and durability. Great opportunity to get your TA02 some hop-ups. This includes graphite shock tower and alloy collar. All other screws are included. 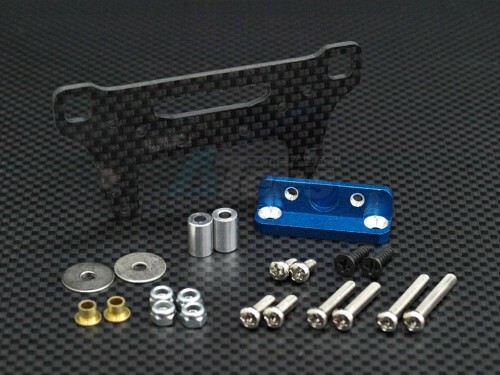 The Tamiya TA02 Graphite Front Shock Stay Blue has an average rating of stars based on 5 customer reviews. Great item, improves stability and performance, lightweight. Other Upgrades/Parts Recommended by Reviewer: Alloy wishbones, C-clamps, hubs, suspension.